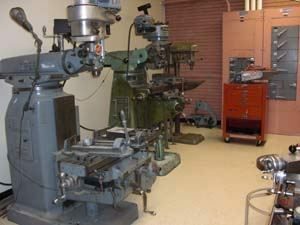 The College/Viterbi Graduate Student Machine Shop is a shared facility intended to provide graduate students and postdocs direct access to basic machining equipment necessary to conduct research. All work done in the Shop must be related to either funded research or graduate student theses. This Shop does not replace the College and Viterbi Machine Shops located in the basement of KAP, but is a complementary facility open to graduate students and postdocs, once they receive the proper training, for simple projects requiring minor machining. The Graduate Student Shop is equipped with two conventional mills, a lathe, a drill press, a band saw, and a grinder. Faculty (PIs) will need to provide a portable tool box, tools and appropriate safety equipment for their graduate students/postdocs to use when working in the shop. A recommended list of tools and safety equipment is available. Tool boxes should not be left in the shop as there is insufficient space. The Graduate Student Shop is under the supervision of the College and Viterbi Machine Shop Foremen: Don Wiggins. Training will be provided by machinist Mike Cowan three times a year, after each semester has begun. There is a 20 hour (4 hours a day for 1 week) morning session, and a 20 hour (4 hours a day for 1 week) afternoon session offered on a first-come signup basis. They are limited to 5 students per session. Potential users should contact Don via email to register for a Student Safety Training Session. Access to the shop is limited to students/postdocs who have successfully completed training. All safety guidelines and shop policies must be followed. The Shop is equipped with a surveillance camera for both safety and security reasons. Failure to comply with safety and shop policies will result in termination of access to the shop. PIs are encouraged to discuss the safety guidelines and policies with their students and postdocs to ensure compliance.